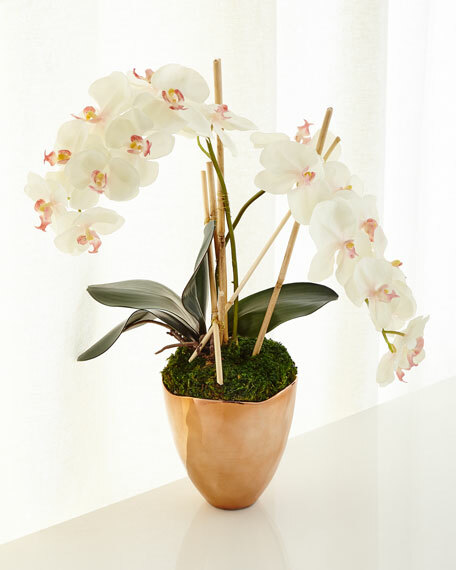 This lovely white orchid is showcased in an on-trend rose gold container. The artfully designed arrangement with the addition of natural cane is a lovely piece to add to any décor. 17"W x 14"D x 22"T.